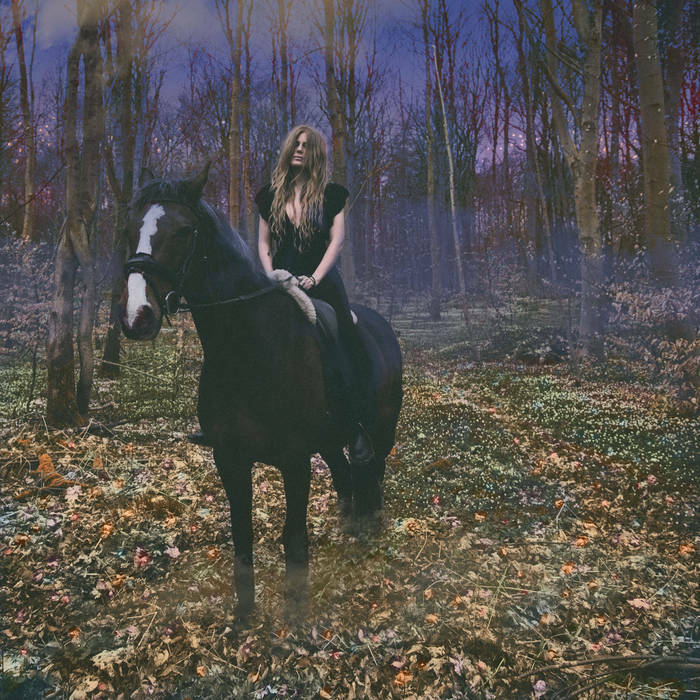 Nearly a year after the release of the well-received Mareidt, the multi-instrumentalist Danish black metal/folk fusion artist Myrkur has announced a new two-song EP titled Juniper. The new tracks were recorded at Orgone Studios in Bedfordshire and produced by Jaime Gomez Arellano (Ghost, Paradise Lost, Sólstafir). The A-side, “Juniper”, is is available to stream, along with a gorgeous video directed by Philippe de Granade. The powerful ballad quickly hooks the listener in with Myrkur‘s delicate voice, as the lush string arrangement sweeps one away. On the other side, “Bonden og Kragen” is a solo reinterpretation of a 17th century traditional Danish folk song. The EP will be available digitally on December 7 through all the usual platforms, including Bandcamp. A limited number of deep purple 7” vinyl can be pre-ordered via Relapse Records. To keep up with the updates on Myrkur‘s music, tours, etc., one can follow the artist on Instagram and Facebook.